Now that the weather is warming up, I’m ready to fire up the grill. 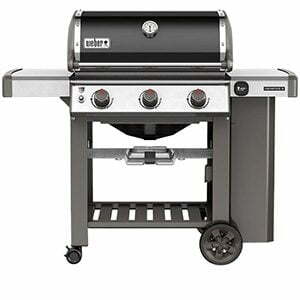 What I love about the new Genesis II grill from Weber is that when you turn the knob, it starts up immediately. The three stainless steel burners with 37,500 BTUs distribute the heat evenly, and the porcelain-enameled cast iron cooking grates are reversible to offer thick or thin sear marks. The grease management system helps with the removal of grease while reducing the risk of flare-ups.